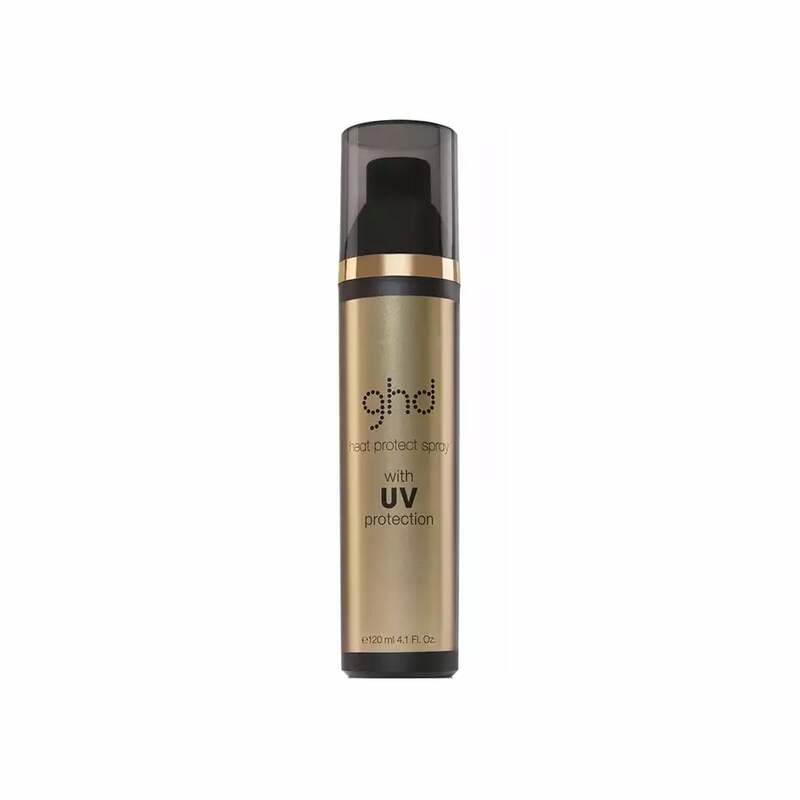 Create a veil of protection over your hair using ghd&apos;s Heat Protect Spray With UV Protection (120ml). Shield every individual strand of hair from potential heat damage & deeply condition for gorgeous results. Featuring a non-sticky formulation, this spray also reduces breakage and aids in preventing split ends. Scientifically formulated for all hair types, the new lightweight formula includes Benzophenone-4 which blocks out and filters harmful UV rays from the sun, before they reach your hair, protecting it from damage. Completely cruelty-free. Spritz over either damp or dry hair prior to styling. Can be used in conjunction with other hair styling products. Early days but so far so good! Smells divine and doesn’t leave that heavy product after feel like some heat defends products tend to do on my fine but thick hair. Not sure how long it will last due to being a spray rather than a cream heat protect product which tends to past ages. Was using kerastase cream heat defence which was ok but nothing special so trying something else to compare. Usually use ghd protection anyway. The added uv protection will enhance it even more. Smells good. Use it before hair drying and straightening. Always use this product and hairdresser says my hair is in good condition so it obviously works as I use a hairdryer and straighteners.